According to a 2004 survey by the American Dietetic Association, 83% of school-age kids bring lunch at least once or twice a week. A peanut butter and jelly sandwich is a nutritious lunch choice, but many kids get tired of eating it day after day. Liven up that lunch box so your child’s lunch doesn’t end up in the trash can! Packing healthy lunch boxes for school. Stock the Kitchen: To reduce morning stress and make the planning process go smoothly, stock your kitchen with all the necessary ingredients. Make a list of convenient lunch foods so you only have to go to the grocery store once a week. Stock up on zip lock sandwich bags, small ¼ to ½ cup plastic, reusable containers, plastic spoons and forks, and freezer packs to keep foods and beverages cool. Plan Weekly Menus: It’s easier to make lunches packed with good nutrition if you plan lunch menus for an entire week. You and your child are less likely to make unhealthy, last-minute food choices as you “bag it and grab it” every morning. Use USDA’s MyPlate to plan nutritious meals. 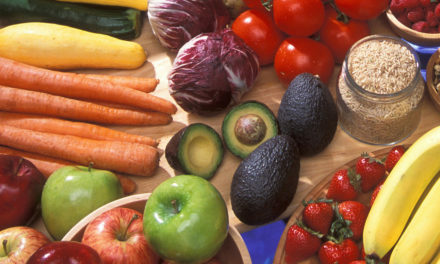 The five food groups in MyPlate are fruits, vegetables, grains, protein and dairy. Plan daily lunches that include at least three of these five food groups and supply protein, carbohydrates and fat. Lunches also should provide about one-third of the child’s daily vitamin, mineral, and calorie requirements so they feel good and can do well in school. Refer to ChooseMyPlate.gov for more information about making better food choices. Let Your Child Make Choices: Always ask your child what they want to eat and let them help decide what to pack. When they get to make some of the decisions, they will almost always be willing to try new foods that are nutritious and healthy. A child who helps prepare their meals tends to eat better, so let them help pack their own lunch bags. Make it a family affair to pack lunch bags for the entire week on Sunday. Discuss portion sizes and food preferences so that your child is satisfied. If you offer healthy choices, your child will choose healthy foods. Your child will accept new foods better if you are a good role model and eat lots of new and different foods yourself. Having the “right” tote can be very important. Let your child chose what kind of lunch container they will carry. Do they prefer a brown bag, insulated bag or a trendy lunch box? A lunch box is easier to clean and may keep food cool longer. Older kids may feel that carrying a lunch bag is not “hip,” so they may prefer a thermal, insulated bag with pockets and tapered to fit into their backpacks. Pre-teens and teens often are very judgmental and tease classmates who bring “uncool” lunches to school. Foods that may qualify as “uncool” include: any ethnic or unfamiliar items; sausages; tuna fish; strong-smelling cheeses and other stinky foods. To create interesting lunches for your child, as well as for yourself, think outside the box—the lunch box, that is. Occasionally tuck a surprise in your child’s lunch box. This could be a non-food item like a sticker, riddle, comic, or a note telling them how special they are. Knowing that someone cares about them is “nourishing” in its own way. A child’s lunch should be fun, easy to prepare and easy to eat within their lunch break, which is usually 20 minutes or less. Sandwiches are popular items, but be aware that a whole sandwich is usually too much food for most boys under eight years old and girls under 11 years old. Other good lunch choices include: raw vegetable pieces (e.g. baby carrots, cherry tomatoes, sliced cucumbers, celery, red or green bell peppers); crackers; cheese slices or cubes; string cheese; whole fruit; individual containers of pudding, and oatmeal-raisin cookies. Prepackaged lunches are convenient, but they are more expensive and often higher in fat, sugar and calories than meals you prepare yourself. Pack your own portion-controlled meals that are cheaper, healthier, fresher, and tastier. Here are some healthy, kid-friendly lunch ideas that are interesting and appealing. Jazz up a plain peanut butter and jelly sandwich by using whole wheat bread and adding a sprinkling of raisins and granola. Low-sugar jam can be substituted for the jelly. These changes add a new twist to an old standby. Vary the type of bread. Instead of always using plain white, try breads like these: whole wheat; multigrain; raisin; pita pockets; bagels; rolls; rice cakes and English muffins. Cut the bread into shapes (e.g. triangles or stars) with cookie cutters. Make pasta salad using fun-shaped, colored pasta (e.g. small shells, wagon wheels or ABC’s). For a protein-packed main dish, serve chicken, tuna or egg salad in pita bread or in a small cup or container. Remember to go light on the mayo or use the low-fat variety. The night before let your child help you make “deli animals” with a cookie cutter. These can be made from thick deli slices of meats (e.g. lean cuts of turkey, ham or roast beef). Raw vegetables can be a hit with your child, so cut celery sticks into small pieces and fill them with peanut butter. Make a crunchy caterpillar by alternating carrot and zucchini rounds on a toothpick. Top with a radish for the caterpillar’s head, and add round cereal for the eyes. Use a dab of cream cheese as the “glue’ to hold it together. Serve hummus with carrot sticks, celery sticks and cubed whole-wheat pita for dipping. Fill some small plastic containers with low-fat dressing, salsa, or refried bean dip so your child can dip their veggies, chips or crackers. Pack some yogurt dip and fresh fruit. Core an apple and stuff the inside with peanut butter. Top with raisins, nuts, sunflower seeds or toasted coconut. The filling keeps the cut apple from turning brown. Make a sandwich filling by combining low-fat cream cheese and jelly. Or, spread bread with cream cheese and top with dried fruits such as raisins, apples or apricots. Mash a banana together with low-fat cream cheese and top with fresh apple, pineapple or peach slices. Combine healthy breakfast cereals, nuts and raisins in a zip lock bag. Cut up some favorite salad ingredients and bag them. In the morning, add a dash of dressing and include a fork. Or, put the dressing in a separate container and let the child add it before lunch so the salad is still crisp. Use “filler” vegetables (e.g. lettuce, onions, tomatoes and peppers) in sandwiches to help your child get the necessary amount of vegetable servings every day. Make healthy muffins with pumpkin, banana, zucchini, walnuts, crushed pineapple or a combination of other ingredients. Another nice treat is oatmeal cookies with raisins. For a good quality sandwich, bag the bread or crackers separate from the cold cuts and cheese. Your child can make their own sandwich at school. Many foods can be stored in zip lock bags for days, especially dried fruit, granola bars, and grains like muffins, whole wheat crackers and cereals. However, many perishables must be stored in the refrigerator. For regular hydration, active children and adults generally need 1 milliliter (ml) of water and other liquids for every calorie burned during the day. This means someone who maintains body weight on 2,000 calories a day also needs 2,000 mls of water and other liquids. Divide this by 240, which is about the number of mls in a cup (2,000 ÷ 240 = 8.33). So, this person should drink about 8⅓ cups a day. Total water intake includes drinking water, water in other beverages (e.g. milk, juices, tea, coffee and soda), and water in food (e.g. vegetables, fruits and soups). Food supplies about 20% of fluids. Under typical circumstances you should replenish up to six or eight cups of fluid every day for regular hydration. However, this can vary due to the climate in which you live, physical activity, age, body size, and the state of your health. Milk is the most nutritious beverage for all children. Any kind of milk provides calcium and vitamin D, which are important for growth of bones and teeth. It doesn’t matter if it’s white or chocolate milk. Just remember that chocolate-flavored milk is likely to have more sugar. Consider offering low-fat or non-fat (skim) milk, which have the same nutritional value as whole milk but less fat. However, children under two years old need whole milk. Fruit juice can be substituted for milk occasionally. Always serve 100% juice rather than a less expensive, high-sugar fruit drink. When plain water or 100% fruit juice is your child’s lunch beverage, pack some cheese or yogurt as a source of calcium. A soft drink is not a good choice, because it contains a lot of calories but no nutrients. Beverages should be packaged in small, child-size portions. A child sometimes drinks their beverage first, because it is fast and easy to handle. This makes them feel full, and they may not want to eat anything else, yet they are hungry again in an hour and perform poorly at school. To keep milk or juice cold, freeze it ahead of time, use an insulated thermos, or place an ice pack in the lunch box. If an ice pack or refrigerator is not available, then choose calcium-fortified box drinks or juices. Snacks can be just as important as the main course. Keep them simple, neat and healthy! Let your child select their daily “fun food,” as long as it is portion appropriate and contains no more than 150 calories. Avoid cookies, cakes and other prepackaged sweets that contain trans fat and high fructose corn syrup. Remember to drop a disposable spoon into the lunch box or bag for some items. Use these recipes to create interesting brown bag lunches not only for your children, but for the whole family. Lay out bread slices. Combine cream cheese, apple, walnuts, celery and cinnamon. Mix well. Spread filling on two slices of bread. Top with other slices. Makes 2 servings. One serving provides 292 calories, 12 g total fat, 37 g carbohydrate and 10 g protein. Exchanges – 2 breads; 1 meat; 1½ fats. Drain oranges, reserving liquid. In large bowl, combine all ingredients, except marshmallows. Add liquid from oranges to mixture and toss. Cover and chill about an hour. Toss in marshmallows before serving. Makes 6 servings. Note: When packing a serving for lunch, keep marshmallows separate and let your child toss them in just before eating. One serving provides 99 calories, 0 g total fat, 25 g carbohydrate and 1 g protein. Preheat oven to 350 °F. Spray a loaf pan with cooking spray and set aside. In large bowl, combine flour, sugar, baking powder, soda and salt. Add margarine, egg, and orange juice. Mix well. Fold in raisins and cranberries. Pour batter into pan and bake 60 to 70 minutes or until browned. Makes 1 loaf (12 slices). One slice provides 238 calories, 4 g total fat, 47 g carbohydrate and 3 g protein. Exchanges – 2½ breads, ¾ fruit, and 1 fat. Preheat oven to 325 °F. Spray 2 loaf pans with cooking spray and set aside. Combine all ingredients in large bowl. Mix well. Pour batter into pans. Bake 50 to 60 minutes or until golden brown and top springs back when lightly touched with finger. Cool. Makes 2 loaves (24 total slices). One slice provides 140 calories, 6 g total fat, 20 g carbohydrate and 2 g protein. Exchanges – 1 bread, ½ fruit and 1 fat. Preheat oven to 375 °F. Spray muffin tins with cooking spray or line with paper liners and set aside. Cream margarine and sugar in a large bowl. Add eggs, milk and vanilla, then add dry mixture and mix well. Fold blueberries into mixture. Fill muffin cups ⅔ full with batter. Bake 25 minutes or until light brown. Makes 12 muffins. One muffin provides 211 calories, 7 g total fat, 33 g carbohydrate and 4 g protein. Exchanges -1 bread; 1 fruit; 1 fat. Combine all ingredients in large bowl or resealable bag. Mix well and store in an airtight container. Makes 12 servings. One serving provides 161 calories, 8 g total fat, 20 g carbohydrate and 4 g protein. Exchanges – ½ bread, ½ meat, 1 fruit and 1½ fat. Before preparing lunches, wash your hands thoroughly using hot, soapy water. Clean all food preparation surfaces and utensils before and after use. Wash fruits and vegetables before packing them into the lunch bag. Over half of kids don’t wash their hands before eating lunch. However, most kids say they would use a hand sanitizer or moist towelette if it was included in their lunch container. When preparing a meal, keep cooked foods separate from uncooked foods, including using separate cutting boards and knives. Cross contamination could cause harmful bacteria from one food to be transferred to another food. Be aware of food allergies, and avoid cross-contamination from items that cause an allergic reaction. When preparing food for someone who has a peanut allergy, for example, don’t use the same utensils that are used with peanuts or peanut butter. This includes knives, containers, cutting boards and serving utensils. Store lunches at the correct temperature. 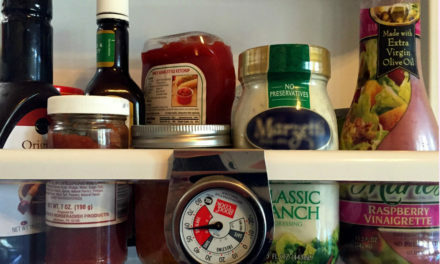 Keep foods out of the danger zone, which is between 40 °F and 140 °F. Bacteria grow and multiply quickly at these temperatures, so don’t take chances. Today’s food supply is transported farther, processed more, and has more potential for spoilage and contamination than when you were a child. Keep hot foods hot in an insulated bottle, preferably a stainless steel or glass-lined vacuum bottle, not a plastic-lined one. Don’t open the bottle until lunch. Keep cold foods cold. Some care providers may have refrigerator space for your child’s lunch bag. If no refrigeration is available, use an insulated lunch box or bag, freeze your beverage, or use a freezer gel pack to keep cold foods below 40 °F. Frozen containers (e.g. freezer gel packs and frozen beverages) are likely to sweat while thawing, so put your child ’s food in zip lock plastic bags to keep it from becoming a soggy mess. Remind your child to bring gel packs back home for reuse! Store lunch boxes and bags in a clean, safe place. Do not put them in direct sunlight, near a heat vent, or in a dirty gym bag. Remind your child to throw away perishable foods right after lunch. Wash lunch boxes and insulated lunch bags after every use. If your child prefers paper bags, always use a clean, new one. 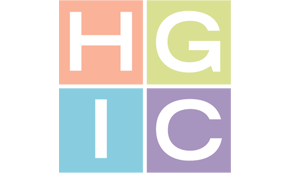 Refer to HGIC 4246, Packing Lunches for Work or School for time and money-saving tips when packing lunches for the entire family. For additional food safety tips, see HGIC 3600, Bag Lunch Safety.